Readers, it’s only April, but the book nominations and awards are already rolling in. 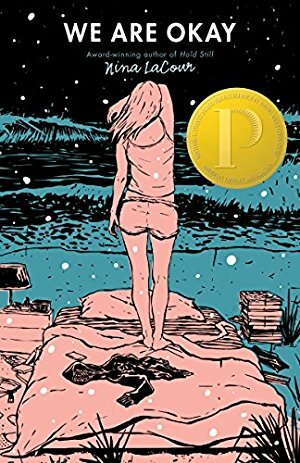 The next category for the 2018 Reading Challenge is “a book nominated for an award in 2018,” and it’s the category we’ve already gotten the most questions about. What are the awards? What do they mean? How will you know about the nominations? There are dozens—perhaps hundreds—of book awards given each year, from January through December. Check out this great calendar of major book awards, and this quick overview of 11 important literary awards.) For this category, your assignment is to read a book nominated for an award in 2018. Your chosen title doesn’t have to be a winner. Literary awards exist to honor outstanding books. 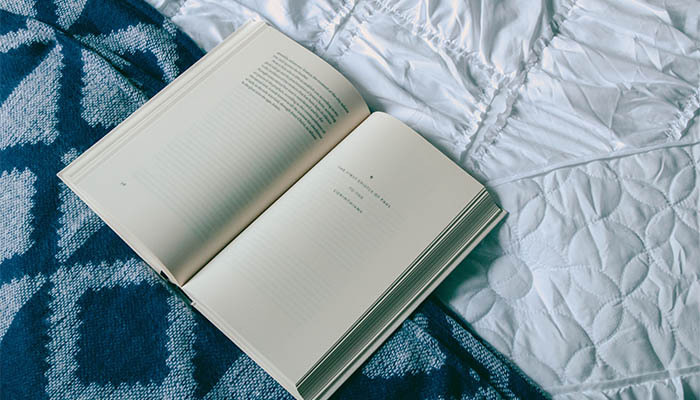 This is your opportunity to discover a book you may not have heard of otherwise, or move a book you were considering reading a few slots up your TBR list, or explore the best contemporary works in a genre you want more of in your reading life. 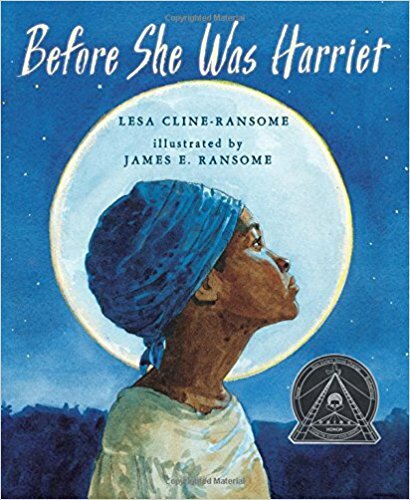 Several significant awards—the Newbery, Caldecott, Printz, Pulitzer—have already been bestowed. Nominations for many more are already out. If you wait till later in the year to choose your book for this category, you could have thousands of titles to choose from. 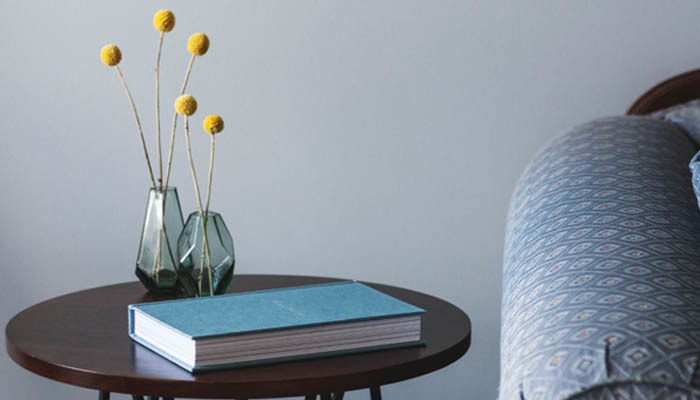 Today I’ve highlighted 21 books that have been nominated for a variety of honors, to give you an idea of how broad your options are for this category, and which books your fellow readers are enjoying right now. I hope you find something you love on this list, and I can’t wait to hear what you choose for this category. I’d love to hear all about it in the comments section. What catches your eye on this list? Have you read any of these titles already, and if so, what did you think? What are YOU planning on reading for this category? P.S. It’s not too late to sign up for the 2018 Reading Challenge and get your goodies (phone wallpaper, bookmarks, reading tracker). Sign up here. P.P.S. 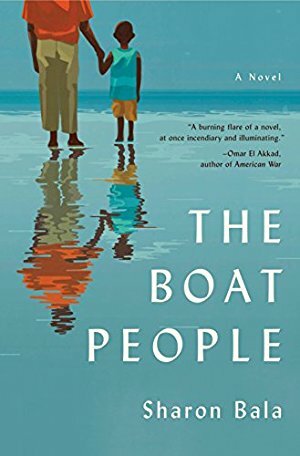 20 Pulitzer Prize and National Book Award winners to read to complete your Reading Challenge, and what I’m (probably) reading for the 2018 Reading Challenge. I actually found three books that I am definitely adding to my TBR list: Killer of the Flower Moon, Sing, Unburied, Sing, and Almost Sisters. I am super excited for these! Thank you for the list 🙂 Which one has been your favorite thus far? What a great selection! I already read Eleanor Oliphant for another category. I think I will go for Killers of the Flower Moon or The Hate U Give for this category, but will end up reading both. So many books, so little time. 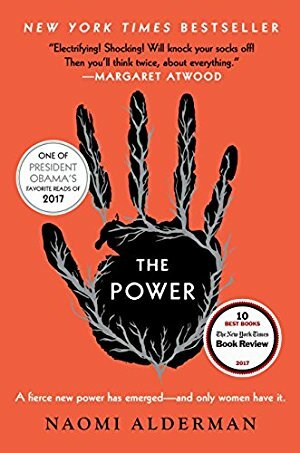 I’ve read both The Power and Less: A Novel, and recommend them both but for very different reasons. The Power is amazing; it kind of starts as one thing and ends as another. It’s very well written, exciting, thought-provoking, and timely, without feeling like homework. Less made me happy to be alive and filled me with love for my fellow humans. It was fantastic and fun and funny and moving. I can’t wait to read it again. Plus, the author Andrew Sean Greer is super nice, which never hurts. In Farleigh Field is $4.99 on Amazon today with Audible narration for $3.49! Easy buy for me! 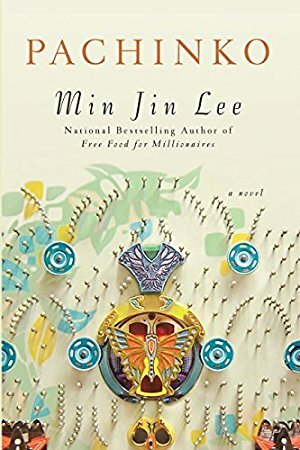 I’m reading Notes on a Foreign Country: An American Abroad in a Post-American World for this one- Pulitzer finalist. I also put the nonfiction Pulitzer winner, Locking Up Our Own, on my library gold list that I’ll fit in somewhere. 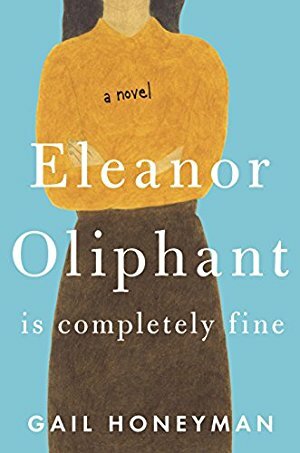 My bookclub just finished Eleanor Oliphant book and it was amazing. 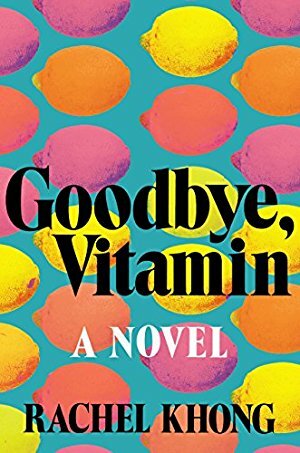 A mixture of ‘Language of Flowers’ from the point that you are constantly wondering what happened to her and ‘The Rosie Project’ because she is so fixed on having her own routine and self revelations. Our next book is Pochinko which I am halfway done and it is beautiful. I saved a few more from this list. Some to my audio list and some to propose to my bookclub. 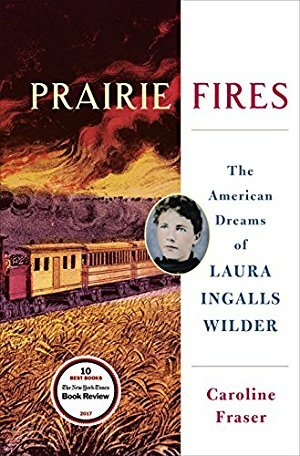 I have been following your blog for over 2 years and have used your reviews/suggestions for picking books for bookclub, audio books and books for my children. My daughter and I are just finishing ‘Listen Slowly’ by Thanhha Lai and I would highly recommend it. SO excited to see I’ve already read some of these – LOVED Eleanor Oliphant is Completely Fine. I thought of The Rosie Project as I was reading it also. Wish I had buddy read Sing Unburied Sing, would have loved to talk this one out. 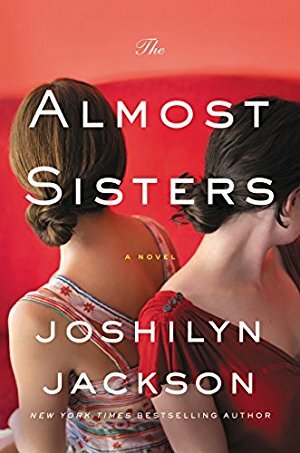 ANYTHING by Joshilyn Jackson is fantastic and Almost Sisters was no exception. And I have quite a few more of these titles waiting for me on my Kindle. 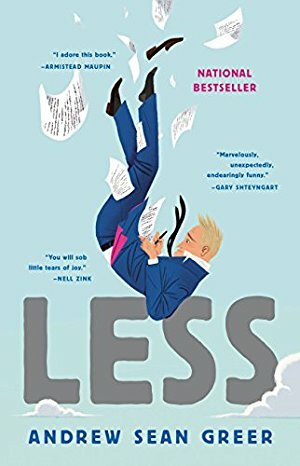 BUT, I think I need to add Less: The Novel – very intrigued! I have either read or listened to all of Joshilyn Jackson’s books and have listened to her speak twice and met her as well. She reads all of her own books and has a very lyrical voice. I highly recommend it! The back story to Almost Sisters is fascinating as well. She is working on her next book – I cannot wait as I love all of them. I read Radium Girls and loved it! It was fascinating and informative while still being a page turner. 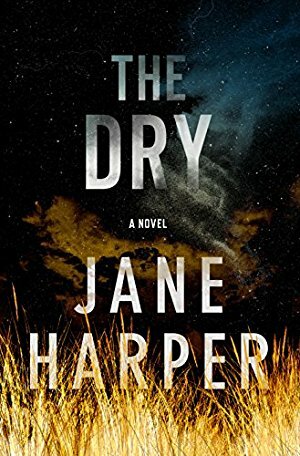 I enjoyed The Dry, but found Jane Harper’s second book even better. Thanks to your round up, my TBR list has just exploded! ? On this list, I’ve read Sing, Unburied, Sing, Hello Universe, and half of The Hate U Give. 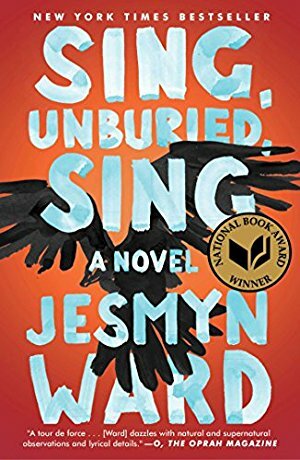 I enjoyed but didn’t love Sing, Unburied, Sing. I can definitely see why it’s won the acclaim it has. 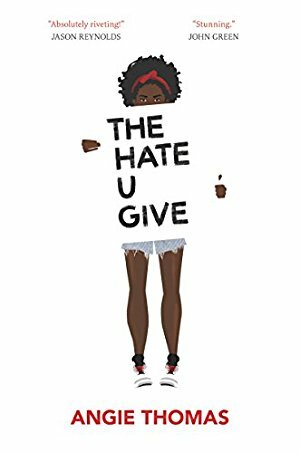 I couldn’t get through The Hate U Give. I tried; I really did. I’m not sure what about it was so hard for me but I just couldn’t do it. 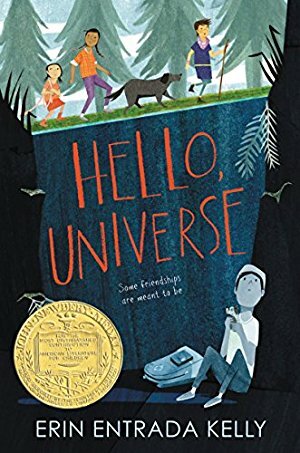 I loved Hello, Universe. It’s such a sweet story. I was so happy when I heard it won the Newbery. I’d love to read Elinor Oliphant is Completely Fine and We are Okay. Oh man, there are way too many books to read!!! I’m adding The Hate U Give, and Almost, Sisters, but I live near the site of the Radium Girls (Essex County, NJ) so I should probably read that too. Thanks for sharing! Oh, my. I am also from Essex County. Add Radium Girls to the list. Oh dear! Haha! My great grandmother died in the 1930’s at age 37, after working in a local factory that made lamps. I’m a little suspicious about it because the company’s sister factory produced some of the most potent nuclear materials in the country. I’m wondering if the book has other info about NJ nuclear waste! Thanks for this list Anne! I loved Almost Sisters, The Dry, and in Farleigh Field. 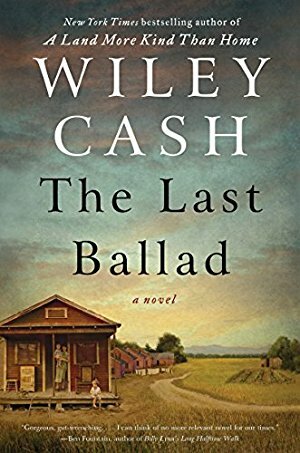 Just added Sing Unburied, Sing, Killers of the Flower Moon, and Last Ballad to my TBR, and I’m already on the library wait list for Prairie Fires. So many good books! I’m reading the new Jane Harper now, Force of Nature, and I think it is every bit as good as The Dry. Anne, I would love to hear recommendations for other books that your tween girls have enjoyed. Maybe I’ve missed such a post. 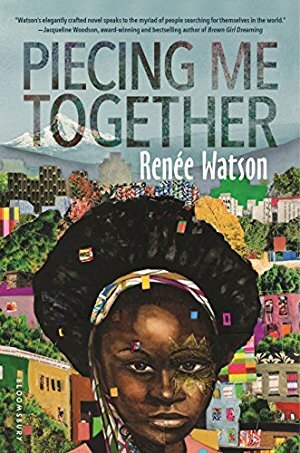 I am constantly looking for books for my teen girls. I know that each family has their own standards of what is appropriate and not appropriate, but I would love suggestions! Thanks! Am waiting with bated breath to get “Less” – can’t wait to read it. Have also just got “In Farleigh Field” on Kindle as it will be a great read on a week’s vacation coming up. 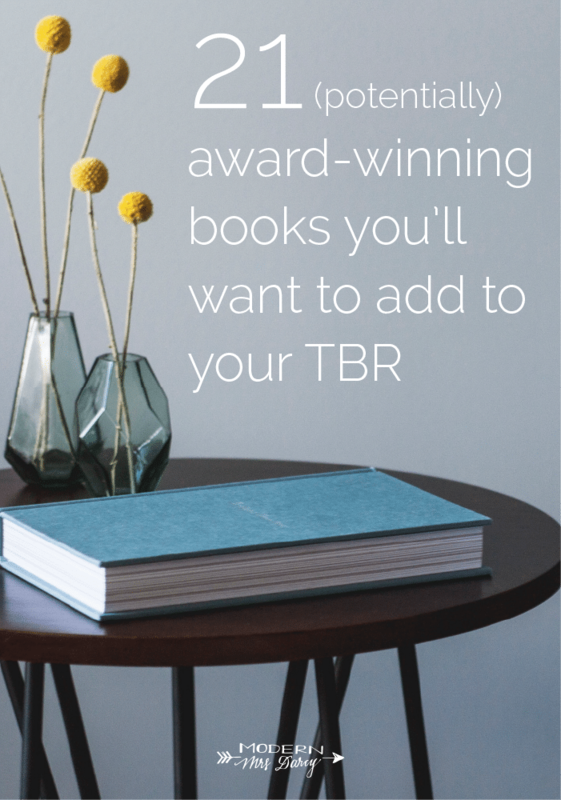 Lots of other TBR books on this list also. I recently read Piecing Me Together (one of my favorites of the year so far), and I just finished The Almost Sisters. I guess I get to check this category off the list! I’m actually in the middle of Killers of the Flower Moon, but nonfiction (even great nonfiction!) is a struggle for me. I was fascinated by “American Fire”. I don’t understand how people can equate destruction with devotion. I was also fascinated by the methods used to track the arsonist(s), because I loved the tv show “Numb3rs”, which illustrates that field of science. I think I may be in the minority; I thought “Sing, Unburied, Sing” was just alright. While I thought the prose was lovely, the story didn’t just grab me. I guess I’m not a fan of magical realism. However, I did enjoy “Eleanor Oliphant”, “Killers of Flower Moon”, “Pachinko” and “The Hate U Give”. I look forward to reading some of the above-mentioned titles on my TBR. So little time, so many books!!! 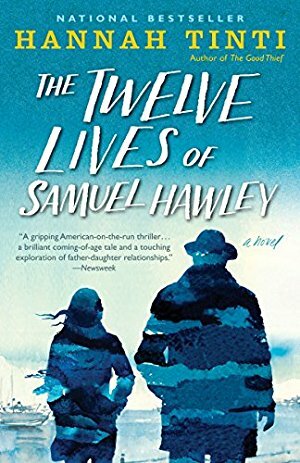 I just finished The Twelve Lives of Samuel Hawley. So good! 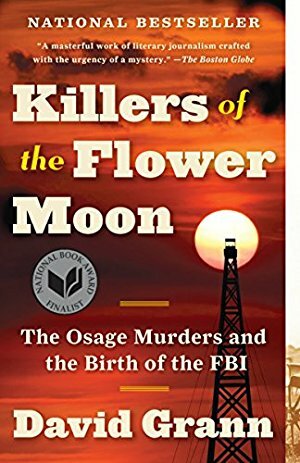 I am about to read Killers of the Flower Moon. 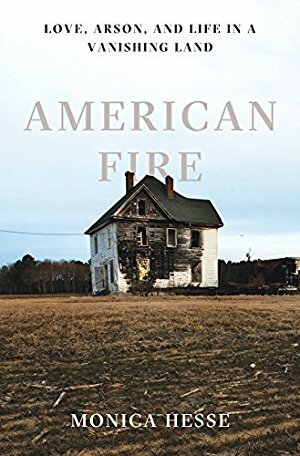 I read American Fire last fall and stayed up way too late at night to keep reading it. I thought it was a great portrait of a town and a fascinating read. I highly recommend it. On the other hand, I also read Almost Sisters and was not impressed. Maybe that’s because I thought it would be something different; it was too “cute” for me. Thank you for the recommendation. Just picked up Eleanor Oliphant is Completely Fine audiobook and LIKING IT SO MUCH already! I’m so eager to read many of these – The Hate U Give, The Power, and The Dry especially – but I’ve recently crammed my TBR with *so* many classics and older books that I never got around to reading, I’m stretched to capacity! All the more reason to power through them, I suppose, so I can get to these beauties asap 😉 From everything I’ve read about them, all awards and nominations are very well deserved! 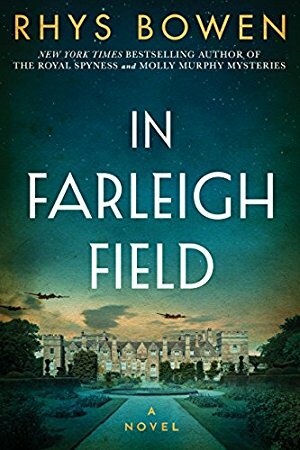 In Farleigh Field was a great historical fiction read (if you are an Amazon Prime member this was actually a free one a few months back, so download those books!). If you like historical fiction, you will probably like this one. 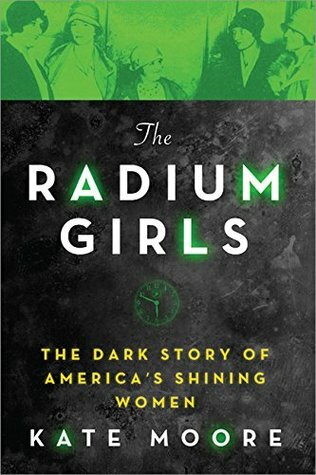 I am really excited to read Radium Girls next and I am waiting for Sing, Unburied, Sing to become available for download for my library! I can’t wait! The fact that In Farleigh Field is listed as ‘serious literary recognition’ makes me almost want to disregard the rest of the list. I’m with you, Jocelyn. I really did NOT enjoy In Farleigh Field to the point that I feel really weird that it’s a contender. I kept waiting to be swept up in the story, and it didn’t happen. There were tone issues for me; it felt unsure of what kind of story it was trying to be. And some of the dialogue… sigh. BUT, having said that, I’m always happy when other people find books they love, even if they don’t work for me. I love audiobooks! I have been listening for years as I drove to and from school each day ( I am a retired teacher.) My husband and I listen to them on long road trips. I also listen on my phone when I walk my dogs – 3 long walks a day. Check with your public library – many are connected to a service and it’s free to cardholders. Mine offers RB Digital and it offers 1,000s of titles, including new releases. I also read “real” books, thus have 3 going at a time. Thanks for all your suggestions and great tips!! I read The Radium Girls for this category. I had never heard of their story – so interesting and sad! I did get bogged down a little in some of the details and skimmed here and there. I thought it was a little too long. But I really enjoyed the book.